Hire experienced team of WordPress Developers on full-time or part-time basis who are well versed in custom WordPress website development offering custom WordPress themes, Plug-ins, WordPress CMS and WordPress customization. We are an offshore website development company with 10+ years of experience based out in India, offering affordable packages for WordPress website development services. Using the WordPress platform, WordPress developers at Let’s Nurture has successfully delivered 527+ WordPress development projects for our global clients. WordPress developers at Let’s Nurture have great experience in integrating custom developed themes, WordPress CMS, plug-ins to your WordPress platform. We help ambitious companies with top-notch WordPress development and integration into the mix. We aim at making engagement models that would compliment and serve various client requirements perfectly. Hire dedicated WordPress developers from us who make sure to provide robust, scalable, easy-to-use, feature rich and engaging websites. Expertise of our WordPress developers in WordPress website development is second to none having crafted some dynamic back end admin panels that meet with the exact business requirements. Let’s Nurture also offers staff augmentation for WordPress development which provides instant access to experienced WordPress professionals ready to hit the ground running. Staff augmentation services by Let’s Nurture represents a cost-effective option to complex and time taking process to interview, recruit and hiring WordPress developers. It also allows to focus on the core business growth. Onsite staffing services for dedicated WordPress developers to clients and companies within the same geographical border to fill gaps in development cycle by frequent onsite visits or full-time presence at your place. Let’s Nurture has development centers at multiple locations in US, Canada, India, Singapore and Middle East. The purpose of ours is to cater our global clients with possible onsite visits when required to save time in review meetings, system deployment or ongoing IT project development. 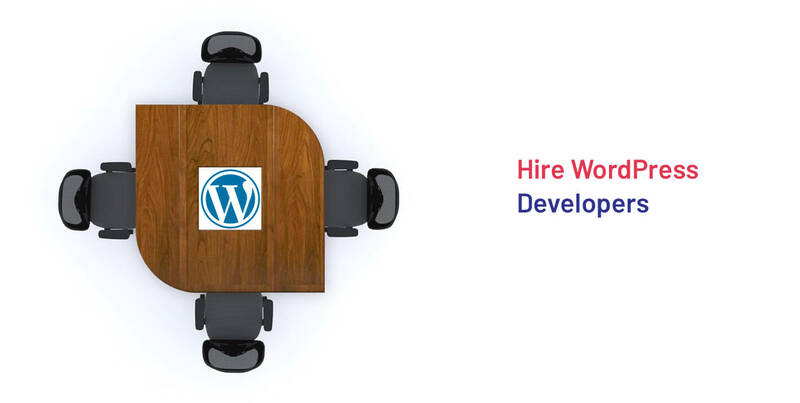 Hire and employ WordPress developers to bring them at our offshore development center (ODC). We have a client-oriented process in which our project managers will keep you in loop in all communication channels with timely reporting. WordPress is a free and open-source content management system based on PHP and MySQL. Leveraging WordPress technology, our developers give businesses much needed potential to edge out competitors by custom, scalable, dynamic and secure solutions with quality beyond expectations. Our team understands the creative, technical, and strategic requirements of developing WordPress sites for your entire school, district, college or university. Bank and finance businesses are adapting mobility technology in order to achieve better customer experience to drive more business and generate new revenue streams. WordPress based platforms provide personalised experience to customers with quick credit transferring with one tap. Healthcare organizations have unique needs, that’s why organizations want a WordPress site that engages health consumers and also keeps them in compliance partner with Geonetric. We have developed WordPress platform keeping in mind about the trending market needs for customers that would improve Online Product ordering, Online Movie/Event Ticket Booking. It would also track customer/supplier payments and gives multilevel security. WordPress can make your website more user friendly for customers by improving Mobile proximity payment solution, enabling encrypted transaction process, message-based payment solution and easy to use mobile wallet. WordPress helps in improving Advanced supplier control and Online customer ordering. Addition to that it helps in tracking customer/supplier payments too. Why choose Let’s Nurture to Hire Dedicated WordPress Developers? Wordpress development team at Let's Nurture provides end-to-end WordPress website development services, from domain registration to hosting WordPress website on cloud servers like AWS, Rackspace, Google Cloud, etc. Be it a corporate website, social media or a blog site, there is no better choice than getting the benefits through WordPress Development Services from our developers. 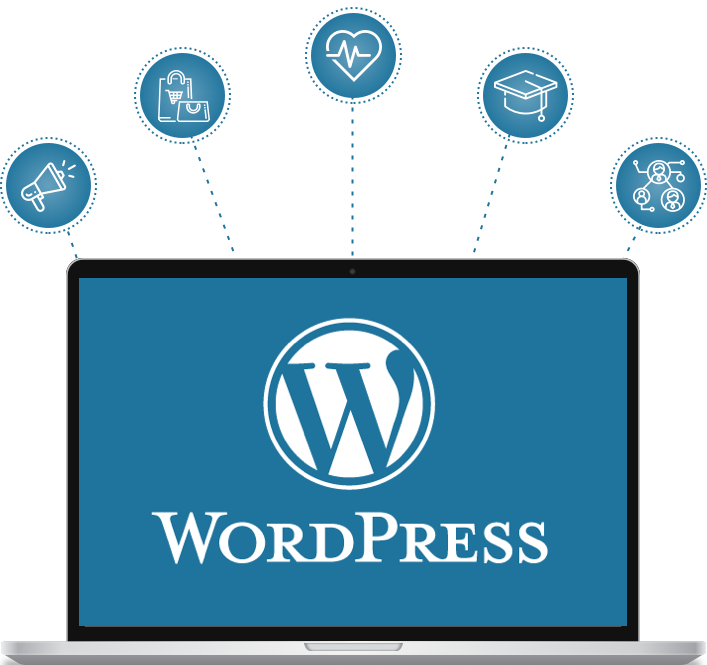 Wordpress developer have abundant experience in working with the latest Wordpress tools, technologies and frameworks while keeping themselves updated to deliver custom Wordpress solutions. Our Wordpress experts provide FREE consultation to understand and deliver thoughts before development cycle starts. This is to ensure to deliver right app solutions as per client needs. No Wordpress developer would be assigned without your prior approval. Our flexible engagement models will give you authority to get new apps developed in less time with quick team scaling. We adhere to strict NC/ NDAs for all client projects. Our systems are enabled with advanced security parameters with CCTV surveillance to secure information of your Wordpress project. We provide end-to-end Wordpress development services regarding consulting, strategic development and UI/UX design, Wordpress testing, delivery and deployment. Hire Dedicated WordPress Developers from us to build cost-effective and quality website for your business now! How can Wordpress development add more values to my business? Hire Wordpress developers who can make tailor-made wordpress enterprise applications to create unique and engaging solutions. With the fact that business demands are rising everyday and loads of data is being transferred, we will help in creating a custom, dynamic, robust, scalable and secure system that will reduce the operational cost and increase productivity. Would I have the complete control over Project Development cycle if I hire Wordpress development team? What if I am not satisfied with the dedicated Wordpress developer performance? Will you replace? What is way to monitor the development of project with Wordpress developer hired? We provide reporting on daily, weekly, biweekly or monthly basis and update progress report on shared account on platforms like Zoho, JIRA, Slack with Emails.